We will be holding our next news:rewired digital journalism conference on Thursday 20 February – offering another thought-provoking day of digital journalism innovation and inspiration, with industry case studies and practical tips for newsrooms. And we’re not stopping at the one day – for the first time we will also be offering the possibility to sign up for an additional three-hour, hands-on training session the following day, on Friday 21 February. The event will return to MSN UK’s office in Victoria, London (on both days). Thursday’s conference will feature a mix of panel discussions, presentation-style sessions and shorter workshops focusing in on best practice application of specific skills or tools, for newsrooms of any size, while Friday’s half-day additional option, will enable attendees to dive deeper into a specific area, and hone practical skills to take back to their newsroom. Work is now underway on putting together the event agenda – but there is still time to make any suggestions for areas you would like to see covered in February. We will have more details on the three half-day practical training sessions on offer very soon. Tickets to attend just the news:rewired conference on Thursday 20 February are available for just £130 +VAT. Those who want to attend both days (20 and 21 February) will need to book a ‘news:rewired plus’ ticket, which is also on sale at an earlybird rate of £220 +VAT. All tickets are on sale at this link. 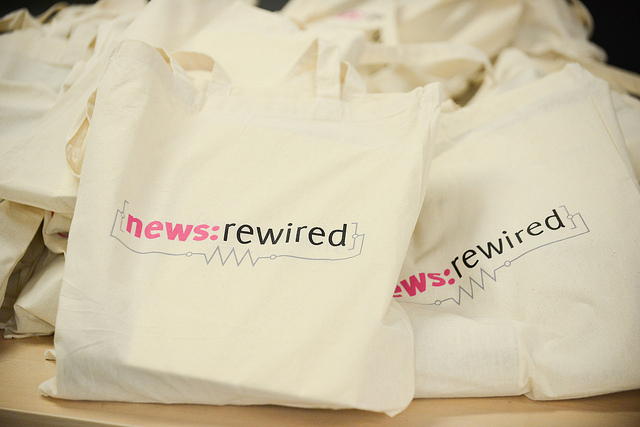 If you have been to news:rewired before, we hope to welcome you back in February. If you’re new to our digital journalism conference, then feel free to take a look at what past attendees have had to say about it.